CWI, CWI. (2014). 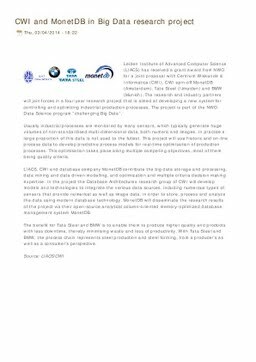 CWI and MonetDB in Big Data research project.